As with all massive goals though, it really helps to break things down into smaller chunks that seem more manageable. When you are targeting something as huge as Financial Freedom, it makes sense to have some milestones along the way so that you know you are making progress. Hitting each of these milestones creates a sense of achievement and the motivation helps you on the way to the next step. It is a sad fact that over 35% of Americans don’t have any savings at all and a further 25% have less than $1,000 saved up. This means that the vast majority of people are totally unprepared for even the most minor of financial emergency. It could be an unexpected car repair, a higher than anticipated utility bill or some minor medical treatment. Any of these things could easily de-rail someone’s finances if they have no savings at all. The problem is, if there is no emergency fund in place, how do people pay for the emergency? The answer is usually to turn to credit cards! This is a very slippery slope indeed. If there wasn’t enough money to pay for the emergency in the first place, adding a load of credit card interest on top of your monthly expenses is going to do nothing to help matters! As such, the first step on the journey to Financial Independence should be to establish a short-term emergency fund. Although there are no hard-and-fast rules about how much is enough to cover a short term emergency, most people agree that $1,000 is about right. With $1,000 in the bank, you should be able to cope with most of the day-to-day financial emergencies that life throws at us. Even $1,000 can seem a long way off if you are struggling to make ends meet, but try to make some small progress each month. I would suggest you begin by trying to put just 1% of your income into a savings account each month. At the time, it might seem almost insignificant, but it is the start of a very powerful habit that can grow in the future. Once you have your short-term emergency fund in place, the next step is to tackle any consumer debt. I’m talking credit cards, overdrafts, personal loans, car loans etc. Many people feel trapped by their debt and they probably are. The problem is that most people go into debt in the first place because they are either living beyond their means (spending too much) or they have a short-term emergency that they are unprepared for (see above). This creates a seemingly never ending debt spiral which is really hard to get out of, but it can be done! The key (as with most things) is to start making tiny steps towards the goal of being debt free. Once you have re-paid any consumer debt that you had, give yourself a big pat on the back. Getting out of debt is arguably the hardest step on the journey to Financial Freedom so you can give yourself a massive cheer on getting this far. Once the debt is gone for good, the next step is to establish a longer term emergency fund. The $1,000 starter fund is a good plan, but what if you have a more serious financial emergency? What if your car needs replacing or you need some more serious medical treatment? A medium term emergency fund allows you to cope with these mini-disasters with ease. Most importantly, having just repaid all the debt, it stops you having to go back to the credit cards when something goes wrong – which it will – that’s just life! My advice is to try and save 6 months worth of expenses at this step in the process. The process for saving that extra money is the same as in step 1, only now you don’t have those pesky debt repayments holding you back – easy right! When you are cashflow independent, you have all the money you need each month to comfortably cover your expenses. This is more than ‘making ends meet’, this is more like making ends overlap! At this point, it doesn’t really matter where the money comes from – it could be your job, a business, a side hustle or consulting gig – so long as the money you are earning (after tax) more than covers your expenses. This is important because it means you are far less likely to fall back down the ladder to the previous steps. If your income is more than your spending, you no longer need debt and you will be able to consistently save and invest more money. Things just get better from here because as you save and invest money, that money makes more money which improves your monthly cashflow position even further and so it continues. It is a virtuous cycle! I’m not sure who invented it, but it was JL Collins who introduced me to the term ‘F-You Money’ and I like it. F-You money means that you can say F-You whenever you want to. This will most often apply to employed people, but you could equally apply the principle to self employed people or business owners. F-You money is great because it allows to you stop doing something immediately if it is making you unhappy or damaging your health. Although others might disagree, I think you should aim for 2 years worth of expenses in the bank to say you have true F-You money. Saving a years worth of expenses sounds great (and it is), but 12 months is not that long and time flies when you are having fun. If you have just walked out on that job that you hate (or been fired or made redundant), then having a full 2 years to figure out what you want to do next can be incredibly empowering. Although some will see spending the 2 year savings pot as a step backwards, I think this is one situation where it is ok to take a small step back or tread water for a while if it allows you to find longer term happiness and fulfilment. Money is meant to be a tool to help us after all! I think Total Financial Independence is where you have enough saved or invested so that the income from your investments covers your current cost of living. This means that you could stop working to earn income and you should see no changes at all to your lifestyle. 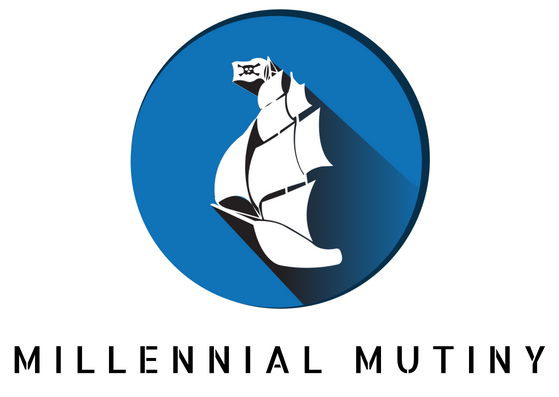 This is a pretty cool place to be and very few people will reach this stage on the Financial Independence journey. Ever! Even people who are about to retire will very rarely have enough money to continue living the exact same lifestyle as when they were working and I think that is a real shame. If anything, I would like to have more money available when I ‘retire’ than beforehand. After all, in ‘retirement’ (I have to use air quotes because I’m not sure if I ever want to retire in the traditional sense) I will have a lot more time to fill with amazing experiences and fun activities. Although there are plenty of arguments against it and some disagree with the maths, the 4% rule is a good place to start to work out how much you need to achieve Total Financial Independence. This is the big one. The hallowed ground. When you achieve True Financial Freedom, you will have saved and invested enough money so that the return on your investments is enough to cover the lifestyle you really want to live. Not the lifestyle you think you should be living or the one that your friends think is 'sensible'. The lifestyle you really, truly, want to live. Want to travel for 6 months of the year? You got it! Fancy flying 1stclass? Add that to the list! Would you prefer to hike everywhere and live in a tent? Then add that to your list. This is your life and you get to decide what it looks like. Once you have figured out how much your ideal lifestyle will cost, you can work out how much money you need to achieve Total Financial Freedom. The number might scare you at first (it certainly did for me), but this is why we have the 7 steps. You need to go back to where you are in the journey and work forwards from there. You don’t go from $0 to $4 million overnight (unless you win the lotto – but that’s not a reliable path to reach Financial Freedom). It takes a lot of time and effort and persistence – just like anything else worth having in life. But, when you get there. By god is it worth it! 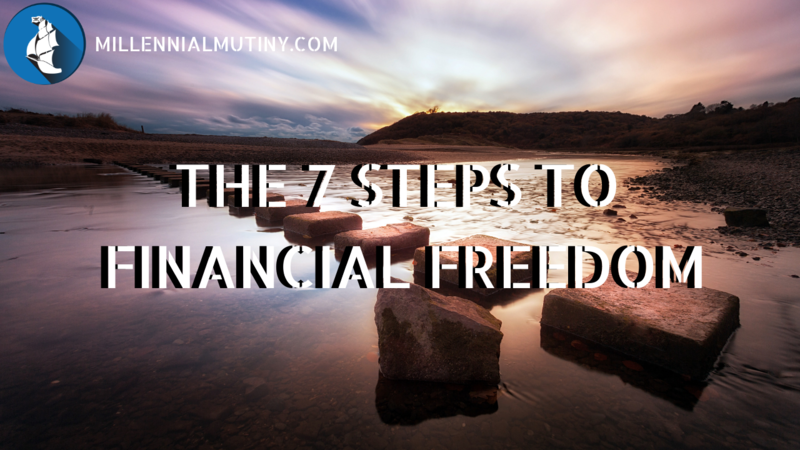 If you are having trouble with visualising your ideal future lifestyle – I suggest you take my Free 7 Day Fast Track Financial Freedom course – It will walk you through the process step by step. Just enter your details and hit the button in the box below.